Kochi is a shopper's Paradise. In Kochi almost anything can be bought. 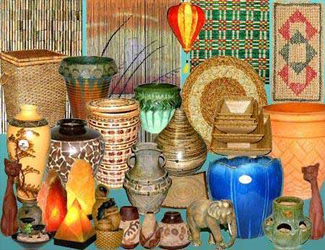 Antiques,coir products and handicrafts are good souvenirs. 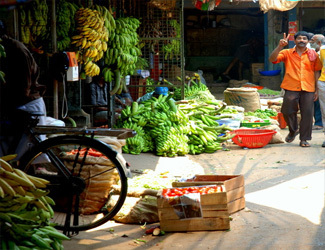 The main shopping areas for the tourists inside Kochi city are as follows. 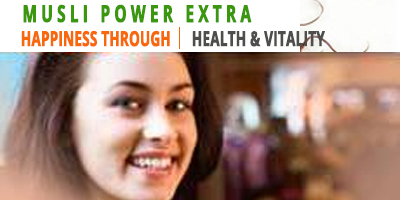 Adjascent to Marine Drive, in the heart of the city, lays the paradise of shoppers – Boadway. Broadway consist of many alleys and crossroads. Once Broadway, as its name suggests, was one of the widest road in the city. But, with the development of Marine Drive as a shopping destination, broadway became a narrow street. The street is full of shops and you are free to choose the best among them. You can find here wholesale and retails shops of shoes, bags, toys, jeweleries, handicrafts, nuts, spices, cloths, furniture etc. Everything is available here in best qualities and cheap rates. Kerala is famous for its handicrafts. 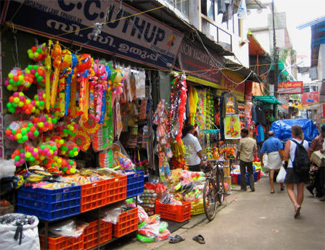 Most of the tourists shop exclusively for Kerala handicratfs, which is unique in its sense. Some of the handicraft products are brass and bell metal works, coir and cane products, ivory works, sandalwood carving, textiles etc. At Kochi, you can get these products at M. G. Road, Broadway, Marine Drive. Govt. Emporium: Kerala State Handicraft Apex Society, M.G.Road, Kochi-682 016 Kerala State Handicrafts Development Corporation (Kairali) M. G. Road, Kochi-682016, Khadi Grama udyog Bhavan, M.G. Road Ernalulam. Jew Town, Broadway , Eranakulam Market Spices Board, N. H. Bye Pass, Kochi-682025 Tel: 333610.